TRENTON – Attorney General Gurbir S. Grewal announced that a police officer and his wife were convicted at trial today of stealing $187,000 by filing fraudulent applications for federal relief funds related to Superstorm Sandy. Nikola Lulaj, 45, of Seaside Heights, N.J., (formerly of Dumont, N.J.), who is an officer with the Hoboken Police Department, and his wife, Majlinda Lulaj, 32, were found guilty by an Ocean County jury of charges of second-degree conspiracy, second-degree theft by deception, and six counts of fourth-degree unsworn falsification. As a result of the verdict, Lulaj must forfeit his employment as a police officer. The verdict followed a trial before Superior Court Judge James M. Blaney. The defendants will be sentenced in January at a date to be determined. Deputy Attorneys General Thomas Clark and Jamie Picard tried the case for the Division of Criminal Justice Financial & Computer Crimes Bureau. They were assisted at trial by Detective Mark Byrnes, Detective Franco Cignarella and Analyst Rita Gillis. The state presented testimony and evidence at trial that Nikola and Majlinda Lulaj filed fraudulent applications following Superstorm Sandy for FEMA assistance, a low-interest SBA disaster-relief loan, and state grants under the Homeowner Resettlement Program (RSP), the Reconstruction, Rehabilitation, Elevation and Mitigation (RREM) Program, and the Sandy Homeowner and Renter Assistance Program (SHRAP) funded by the New Jersey Department of Human Services. As a result, they received a total of approximately $187,074 in relief funds. The couple falsely claimed in their applications that a home they own on Webster Avenue in Seaside Heights, which was damaged by Superstorm Sandy, was their primary residence at the time Sandy struck. In fact, their primary residence was in Dumont, N.J. They have since moved to the house in Seaside Heights, but at the time of the storm, it was a vacation/rental property. 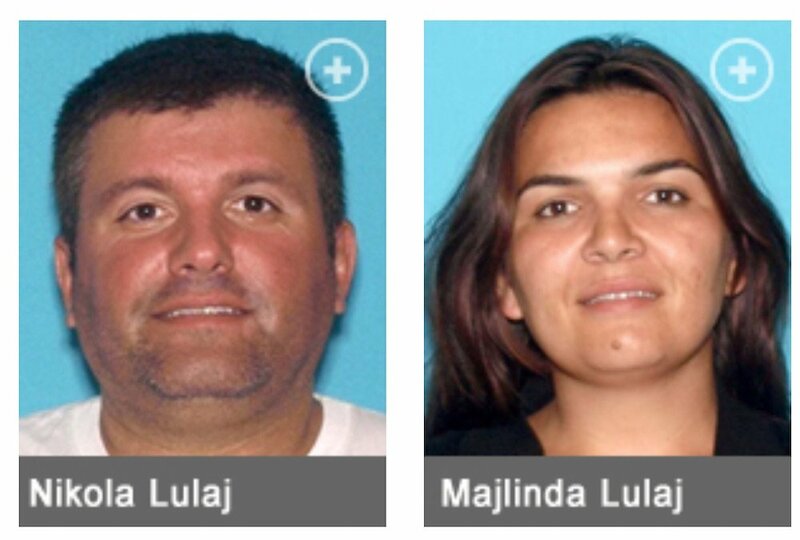 As a result of the alleged fraudulent applications, Nikola and Majlinda Lulaj received $2,820 from FEMA, $90,200 in SBA loan proceeds, a $69,054 RREM grant, a $10,000 RSP grant, and a $15,000 SHRAP grant. The case was investigated for the Division of Criminal Justice Financial & Computer Crimes Bureau by Deputy Attorney General Thomas Clark and Detective Mark Byrnes. They conducted the investigation with special agents of the U.S. Department of Homeland Security Office of Inspector General, HUD Office of Inspector General and SBA Office of Inspector General. The case was investigated and prosecuted under the supervision of Lt. Vincent Gaeta, Lt. David Nolan, Sgt. Fred Weidman, Deputy Bureau Chief Mark Kurzawa and Bureau Chief Julia S. Glass of the Division of Criminal Justice Financial & Computer Crimes Bureau. Second-degree charges carry a sentence of five to 10 years in state prison and a fine of up to $150,000, while fourth-degree charges carry a sentence of up to 18 months in prison and a fine of up to $10,000. The Attorney General’s Office has charged over 120 defendants with fraud related to Sandy relief programs. Most of the cases involve “primary residence fraud” of the type committed by Nikola and Majlinda Lulaj. The 120-plus defendants allegedly were responsible for diverting more than $8 million in relief funds. The office is continuing its aggressive efforts to investigate fraud in Sandy relief programs, working jointly with the New Jersey Department of Community Affairs (DCA), and the Offices of Inspector General of the U.S. Department of Homeland Security, the U.S. Department of Housing and Urban Development (HUD), the U.S. Small Business Administration (SBA), and the U.S. Department of Health and Human Services (HHS). Also assisting the taskforce is the New Jersey Division of Consumer Affairs, the New Jersey Motor Vehicle Commission, New Jersey Office of the State Comptroller, New Jersey Department of the Treasury Office of Criminal Investigation, U.S. Postal Inspection Service, and the non-profit National Insurance Crime Bureau (NICB).